The Federal Highway Administration noted on Oct. 5 that it is preparing to pursue an update to the Manual on Uniform Traffic Control Devices for Streets and Highway or MUTCD to accommodate the needs of automated vehicles, while affording states and local communities “more opportunities” to be innovative with traffic control system designs. The MUTCD is the national standard for traffic signs, signals, and pavement markings and FHWA said it will “seek input” from the general public, including state and local traffic engineers, traffic control device technicians and other stakeholders, for this upcoming update. The agency said any proposed changes to the MUCTD – the latest edition of which was published in 2009, then updated in 2012 – is expected to be released for public review and comment in the spring of 2019. 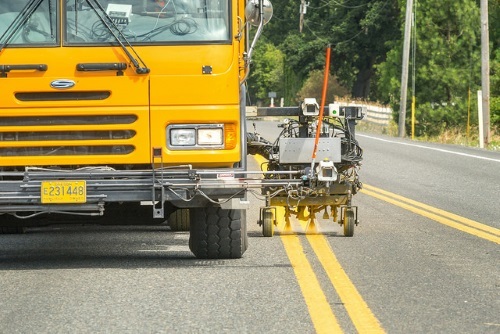 FHWA noted that this MUTCD update effort is part of USDOT’s third round of federal guidance for automated vehicles and also represents an effort to “streamline processes and reduce burdens” on state and local agencies by adopting many successful traffic control device improvements that resulted from some of the 150 official experiments approved by the agency in recent years. Those improvements including congestion-reduction strategies such as variable speed limits, dynamic lane control and shoulder use and pedestrian safety enhancements such as the rectangular rapid-flashing beacon and crosswalk marking patterns. Overall, Hendrickson added that FHWA’s goal is to ensure that the revised MUTCD improve the public’s travel experience – whether driving on the interstate or in a large city, small town or rural America – and that it allows for “more flexibility and innovation” to improve travel for drivers, pedestrians, and bicyclists alike. Separately, FHWA made $750,000 in Emergency Relief program funds available to North Carolina to help jump-start repairs to roads and bridges throughout the Croatan National Forest in North Carolina that were damaged last month by Hurricane Florence. More than 40 inches of rain fell in some parts of the forest and the surrounding area, the agency added, making complete damage assessments challenging. U.S. Forest Service officials estimate the cost of repairs to be $4.5 million, but, as more complete information becomes available, that figure could climb. Several roads in the Croatan National Forest provide access for the U.S. Department of Defense, county emergency management response, communication towers for state and federal agencies, timbering operations, endangered species management needs, private homes, and public commuter routes throughout the area FHWA said, so this “quick release” funding will be used restore “essential traffic” roads and prevent additional damage.